Several companies are working with policymakers and other vendors to replace the use of highly-addictive painkillers and reduce overprescribing. 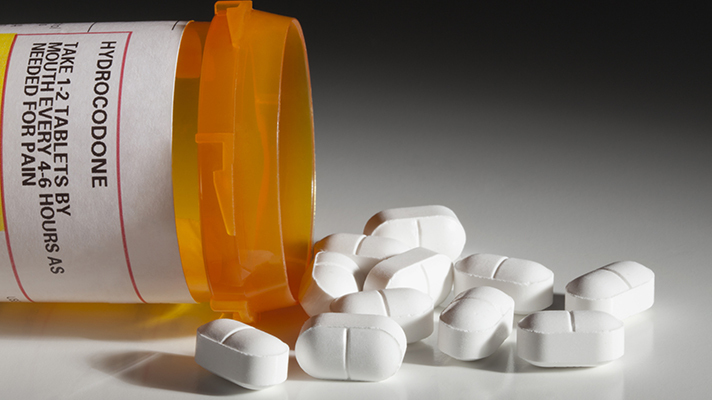 The U.S. is in the midst of a national crisis when it comes to opioid misuse and overdose. Last year, 52,000 people died from a drug overdose -- 33,091 of which were caused by a prescription or illicit opioid, according to the Centers for Disease Control and Prevention. And 12 million people misused opioids in 2016, SAMHSA found. While the President proclaimed in August that he thought the opioid crisis was a national emergency, he’s not yet taken the necessary legal steps to actually make a difference in the uphill fight against the epidemic. For example, a federal declaration would ease restrictions on who can prescribe medications used to treat opioid addiction, while providing extra funds from disaster relief. But while the White House is still processing an “expedited legal review,” there are health IT vendors pursuing a private sector effort to thwart the overprescribing and overdosing of opioids. There are a variety of vendors in this space attempting to make an impact in the crisis, and we’ve highlighted those with the most unique or largest presence in the sector. SPR Therapeutics’ SPRINT device is a drug-free wearable that uses a thread-like wire and wearable stimulator to alleviate pain. In doing so, the device could replace the need for opioids in some cases. A provider inserts SPRINT’s thread-like wire through the skin near the nerve closest to the pain center and can be used for up to 60 days. The only item inside the body is the wire and an external stimulator is worn outside on a pad. The FDA approved SPRINT for both acute and chronic pain. But at the moment, SPR is concentrating its efforts on fighting chronic pain, such as pain associated with knee replacement surgery, shoulder pain and neuropathic pain. Many patients will put off knee replacement for fear of post-surgical pain, and the likely need for prescription pain medication to find comfort during recovery, said Bennett. SPRINT uses a neurostimulation platform, which has been used for decades for many different types of uses. Bennett said it’s one of the lowest invasive approaches to ease pain. However, it’s often leveraged on patches that focus on pain centers, but must go through the skin. “It doesn’t get down to the root of the pain,” said Bennett. Alternatively, there are neurostimulators, which are about the size of a stopwatch and surgically implanted. It delivers mild electrical signals in the epidural space near the spine by thin wires. While this is an incredibly effective method, it’s also expensive and invasive -- making it a last resort treatment. But SPRINT is designed to fill the gap in the middle of these treatment options, said Bennett. SPR’s idea is to leverage less invasive tech, which providers can offer as an alternative to prescribing opioids. Bennett said there is no harm to patients to trying SPRINT to deal with pain, before opioids are considered. The most adverse event experienced by patients is skin irritation at the external stimulator placement. The company launched its efforts at the beginning of this year, but Bennett said the hard part will be selling the device to hospitals, providers and pain centers. The device has been approved for use by several pain facilities, and the company is hoping to build from there. Surescripts is a health information network that connects pharmacies, providers and benefit managers to provide real-time data at the time of prescription. Since 2001, the company has worked with the pharmacy benefit manager industry to digitize the prescribing process. The software sends patient medical and prescribing history to the provider when a prescription is requested. The idea is to inform the provider whether a patient has a history of receiving an abnormal amount of opioids or is known to doctor-shop to obtain painkillers. All major PBMs and pharmacies are connected to Surescripts, while almost all EHRs are capable to connect with the software. So far, nearly 1 million prescribers are connected to Surescripts and 230 million patients are covered, according to Paul Uhrig, chief administrative officer at Surescripts. Surescripts is quickly working to fill any data gaps, which stem -- not from data sharing -- but in independent pharmacies that may not participate in the program, explained Uhrig. Further, Uhrig said Surescripts is working to educate providers to enable them to use the system, as many don’t realize it’s legal. In fact, the DEA finally began to allow e-prescribing, and last summer, the last state changed its laws to accept the platform. The DEA allows specific processes to ensure the person using the system is who they claim to be and is allowed to prescribed what is being requested, said Uhrig. And some states are now mandating e-prescribing, like New York and Maine. In fact, in 2016 only about 14 percent of prescribers were required to use e-prescribing. Uhrig explained that many providers were watching to see how policies would turn out, but now at least 10 states have implemented or plan to implement laws to mandate e-prescribing. On the surface, Imprivata’s platform is pretty straightforward: enable providers to securely access, communicate and share patient information using its OneSign platform. But the tech proves more than valuable when it comes to validating who is prescribing what type of medication. “The best way to describe it -- we provide tech that allows for electronic prescription and controlled substances that is a more transparent form of prescribing than with paper,” said Imprivata Chief Medical Officer Sean Kelly. The system providers a secure method to verify the provider has been credentialed into the system, said Kelly. To authenticate, the prescriber must provide two modalities when attempting to prescribe a controlled substance. The enrollment process for prescribers is stringent, and at least one witness is required during that time, Kelly explained. The prescriber must provide a verified ID to be credentialed, and Imprivata will then provide a token system that is approved by the DEA. Those tokens vary by the healthcare organization. Imprivata’s tech will also create a backend access control for that provider, which will creates a profile of the prescriber’s status within the EHR system that verifies the person is allowed to prescribe. While this process is complex, Kelly said that once enrolled, Imprivata’s tech actually streamlines and secures the prescribing process. The company received independent certification from a third-party authenticating it’s DEA- compliant, said Kelly. Further, the platform also provides an audit of all medications prescribed, which makes it easy to write reports and insight into who is prescribing what and how much. Imprivata also partners with Surescripts, which accepts the verified prescriber info and prescription needs and gives the ok to be sent to the pharmacy. Both companies are working together on thought leadership to educate the market on options and how to incorporate this type of tech into the EHR. While many of the vendors in this sphere focus on the prescriber end, LexisNexis works directly with pharmacists to verify the identity of the person picking up the medication. We engage directly with pharmacies and work inside their workflows to ensure verification isn’t disruptive to the process, said Lizzy Feliciano, senior director of marketing for LexisNexis Health Care Solutions. “Identity management platforms have a real role to play and can be deployed in real-time in the pharmacist workflow,” said Feliciano. The platform generates questions for the pharmacist to ask that only the user would know. And Feliciano said the ID validation can be adjusted based on the significance of the prescribed medication. The verification tools pull from public records data and is able to take an identity and generate relevant questions. The pharmacist doesn’t have free access to that data, but the platform generates the identity quizzes, explained Feliciano. The platform can also provide additional information, kiosks, biometrics and multiple mechanisms to verify the identity of the person prescribed the medication. To Feliciano, what’s most important is that the key players in the sector have access to prescribing information right in the workflow. Further, these members need to be having real dialogue to understand what each vendor is bringing to the table to find real solutions to the crisis. “We’re at the point where technology can provide those real-time answers,” she added.